Photograph by Paul Thompson. 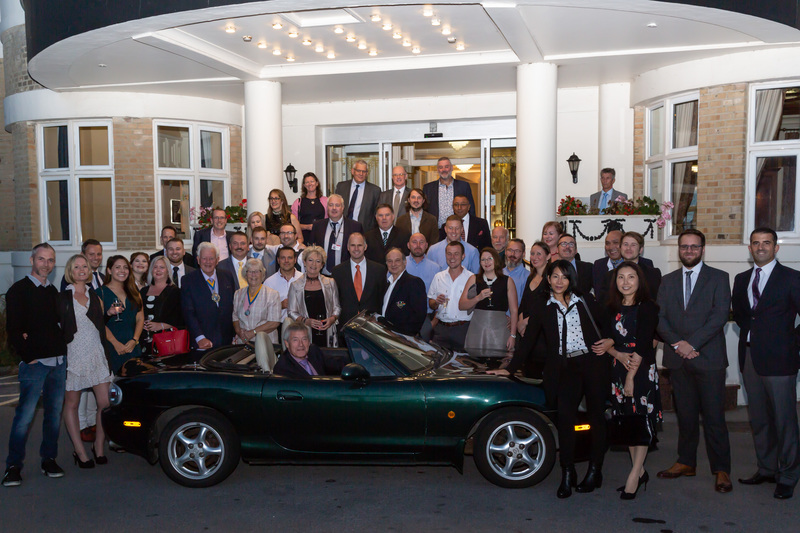 Hallmark Bournemouth Hotel Carlton hosted a successful motors themed dinner on Saturday 15th September 2018. The inaugural Motors By The Sea Festival arrived in Boscombe with a roar over the mid September weekend. The event’s main attraction saw over twenty thousand geared up motor enthusiasts, petrol heads and curious spectators flock to Motors by the Sea to view the eclectic mix of vehicles. The display grew from Saturday as part of the local Boscombe market, to over 50 cars on Boscombe’s precinct on Sunday, made up of classic, super and sports cars, which certainly made an impact along the precinct. Among the most popular attractions was the Ex Michael Schumacher 1992 Benetton B192 Formula 1 car, exhibited by Lorina McLaughlin, one of the UK’s most successful female drivers. The brand new Mercedes GTC courtesy of Sandown Mercedes , Thruxton circuit’s McLaren 570S, Ford Mustang GT and Formula Renault Single Seat Racing Car caused quite a stir! The Sovereign Shopping Centre was dedicated to the “Cars of the Future” which gained lots of interest with the latest Tesla on display courtesy of R Symons that attracted a great deal of attention, especially the Tesla Model X Dance. Arts2Educate hosted a creative workshop for youngsters to design and create their ideas for futuristic cars from recycled materials. LucanArt created a model space age car based on designs from local school children at Avonwood Primary School. Alongside the vehicle displays, a range of motor themed traders including Motorbitz and vehicle wrapping company Wraptastic were on site. Specsavers were offering visitors ensuring their eyes are road legal, by checking they could read a number plate from 20 meters. The AA advised on common basic vehicle fault diagnosis; how to analyse a vehicle breakdown, establishing the problems and understanding the solutions. Headline sponsor Paragon Education & Skills informed young people and employers about apprenticeships in motoring and engineering by illustrating the careers available. Hallmark Bournemouth Hotel Carlton hosted a successful motors themed dinner with special guest speaker Tiff Needell, Fifth Gear presenter and former professional racing driver. Pokesdown joined the festival with a range of over 20 cars from Rolls Royce to super-tuned cars and emergency vehicles in support of British Heart Foundation on the Pokesdown Community Green and The Bell, culminating in a lap with roaring engines around Pokesdown and Boscombe early Sunday afternoon.